In Kenya, children continue to suffer. The situation is particularly acute in the informal settlements and war prone areas, especially during periods of violence. According to the United Nations convention on children’s rights, children have the right to participate and make decisions on issues affecting them and this should be provided for. It has been tested and proven that when children are given the opportunity to participate in development and decision-making, there is a more successful outcome than only consulting adults. It has been shown that participation of children results in longer term community ownership of development. The goal of this program is to give children the opportunity to demonstrate to the community that they can secure their own future by helping enact social change. This project also contains a mentorship program providing the children, particularly those from severely disadvantaged backgrounds, with role models to act as moral guides and inspirational figures. Any person under the age of 18 years old is considered a child according to the Children’s Act. In traditional African culture, children are not supposed to talk near or even differ with adults. This has made it “impossible” for government agencies and other institutions like schools, churches and even families to involve children in the decision making process regarding issues that affect them. Be Kids believes that this lack of listening to young people causes harm to them and to society. A situation where fear and silence are prevalent has resulted in abuse by adults leading to negative aggression among the younger generation. Other factors contributing to serious generational problems include a lack of positive role models and an unhealthy environment in informal settlements. These include abusive parents, criminal activities, drug and alcohol abuse, and disease and increased mortality among children caused by environmental negligence. High rates of child abuse and neglect are witnessed in the informal settlements (slums) of the developing nations in sub Saharan Africa. The Korogocho slum is one of the largest, ranked third after Kibera and Mathare in Nairobi. Korogocho has an approximate population of 150,000 and more than half are children, mostly from single-parent homesteads. This high population of children have only two government primary schools and no government secondary schools. However, the intervention by faith based and community based organizations has facilitated more non-formal primary and secondary schooling. The area has no government health clinic and only a few private individual and church providers which do not offer free services. This means health care is neither available nor affordable for many locals. Being a informal settlement, the housing is in poor condition built from corrugated iron sheet, mud, cow dung, polythene papers and wood. Sanitation has been another challenge as many of the households lack toilets. Water is accessible and is provided for by the City council of Nairobi. However, its cleanliness is questionable as some of the pipes are leaking and contaminated with dirt. Economic practices in the area include a variety of small businesses including buying and selling scrap metal, brewing and selling illicit brew, sourcing and selling products from the dumping site, food kiosks, ‘prostitution’, washing clothes. Others are employed by manufacturing industries located nearby. Negative effects on children include child labor, disease, emotional abuse, drug abuse, sexual abuse, poor academic performance, and environmental pollution. Crime and drug abuse (especially alcohol) is very high in the area. Sexual abuse of children is an acute problem with a large number of reported cases. Rates of HIV infection amongst children have risen along with school drop outs. There is also a high rate of child physical abuse by guardians/ parents. This has been associated with social frustrations amongst the adults. The situation in Korogocho has a profoundly negative effect on children. Young people follow the examples set by adults and this is evidenced by the level of crime committed by persons under the age of 18 and the rising rate of early pregnancy in Korogocho. To promote child participation for social change. The goal of this program is to give children 7-15 years of age the opportunity to demonstrate to the community that they can secure their own future by caring for their environment, taking safety measures, advocating their rights, and helping enact social change. Empowering children to do so requires positive role models, guidance, education, and a space to exercise their creative abilities. Kengele is a Swahili word meaning bell. The Program is designed as a wake up call for children and other community members to address the issues affecting children to improve their lives and provide for a better future. 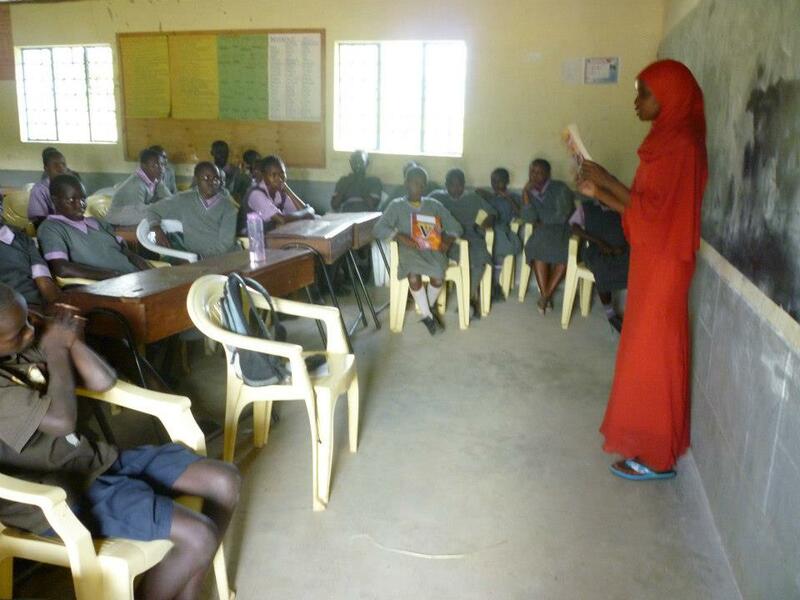 The program proposes to organize the children of the Korogocho slum through their villages. The area is subdivided into 10 villages. Each village will have 10 children chosen through selection criteria. Mentor the children on career choice and academic excellence. Pass on information on social issues. Take the children on educational trips to increase their knowledge. Prevent the spread of HIV. Improve the environment to reduce the high rate of disease such as malaria. Devise sustainable environmental measures to improve health. Launch a campaign against drug abuse and irresponsible alcohol consumption. Encourage a children’s society that respects and appreciates different cultures. Promote the awareness of children’s right to security and protection. Nurture and use talents to advocate for peaceful coexistence. 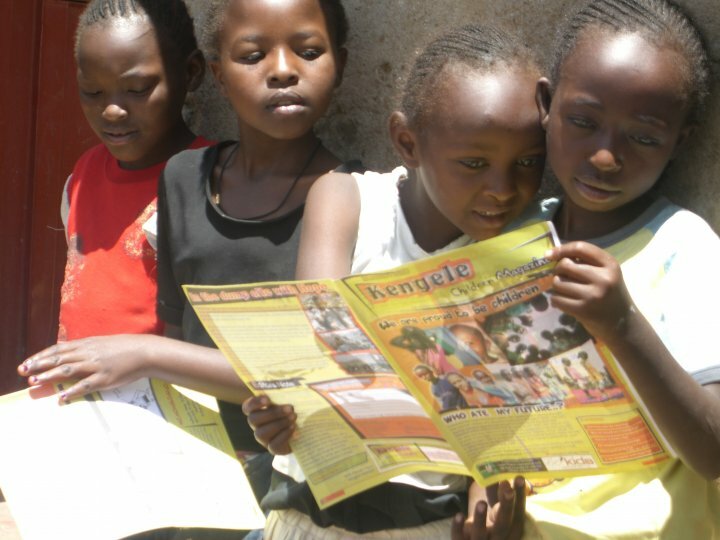 Empower the children of Korogocho slum to organize and participate in addressing issues affecting them. Enable the children to mobilize and influence different stakeholders by addressing the issues. Facilitate a mentorship program for the children to support their education and talent. Create a space for children to become pace setters for social change. The 100 children from the 10 villages will identify, analyze, and address 10 problems affecting children in this area. There will be a visible change in the community as a result of the children’s intervention. The community will have a new perception of children and accept their positive contribution towards the development of the society. By realizing their positive potential and abilities, the children’s self-confidence and self-esteem will be increased. Positive role models will inspire the children’s future aspirations.